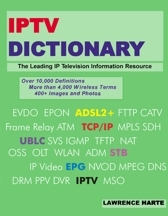 IPTV Industry Dictionary is a free tool to get technical definitions and lookup industry terms from more than 11,000 terms, acronyms, and definitions. Althos is a media company that uses unique and efficient ways to gather, package and sell media. The media products include books, magazines and rich media publications. Althos patent pending knowledge based management and production processes, shared expert resources allow us to produce books and magazines faster, lower cost and higher quality. In order to add this IPTV Dictionary tool to your web site and give your visitors the way to lookup industry terms from more than 19,000 terms, acronyms, and definitions, just copy the HTML code below and put it into your web page where you want to provide access to your dictionary.